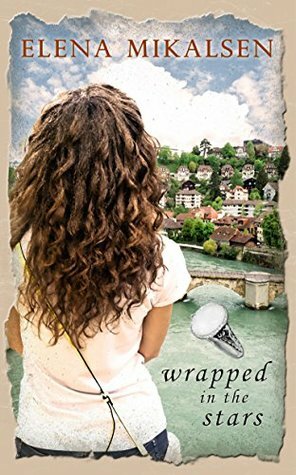 WRAPPED IN THE STARS is Elena Mikalsen's debut romance/historical romance novel. It was published on February 19, 2018, by Wild Rose Press. What immediately stood out to me in WRAPPED IN THE STARS was that it's two romance novels in one. The novel follows two female characters, switching back-and-forth between their perspectives. Maya is a resident at a hospital in New York, but due to an unfortunate circumstance, she has taken a sabbatical from her residency and left the United States. In Scotland, Maya purchases an antique ring. After she has the ring, she begins to have dreams and visions about the ring's original owner - a female physician named Rebecca who lived in Switzerland in the early 1900s. In an attempt to learn more about the ring and Rebecca, Maya travels first to Paris and then to Switzerland. Along the way, she meets a man named David. As a romance blooms between Maya and David, they learn that they both have a surprising connection to Rebecca's ring. As Maya searches for answers about the ring, Rebecca's romance with a Jewish student from the Ukraine plays out in the years surrounding World War 1. Both Maya's and Rebecca's love stories are heartwarming and captivating. And their personal lives and struggles will keep the reader turning the page. You will be cheering for both characters to find love. WRAPPED IN THE STARS is a wonderful romance novel, delivering not one but two romances! All of the characters are intriguing, and the landscapes/time periods are brought to life in the descriptions. And the mystery surrounding the ring adds an extra element to the story that I thought was fascinating.